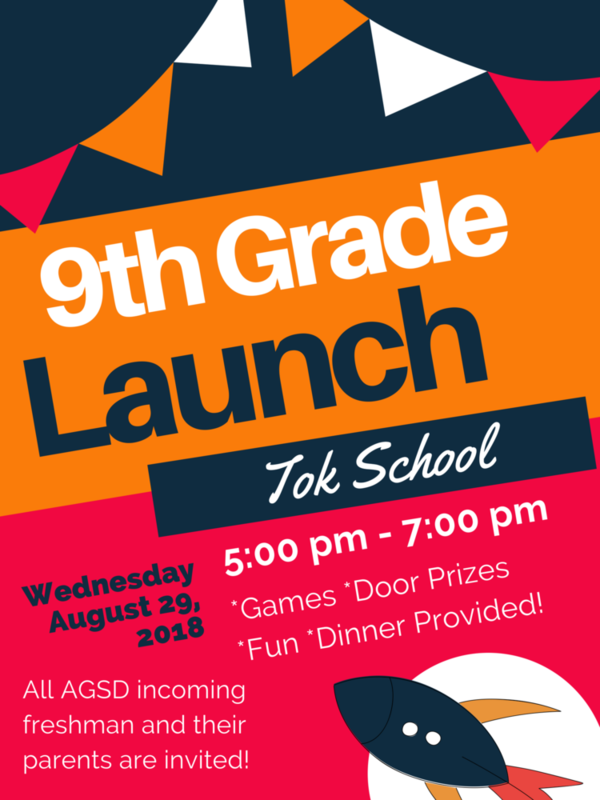 9th Grade Launch - All AGSD incoming freshman and their parents are invited to join us at Tok School from 5-7pm on August 29th for games, door prizes, and fun! You will have the opportunity to learn about credits, GPA, scholarships, and more! Dinner will be provided. All parents should have received a 9th grade launch letter in the mail.